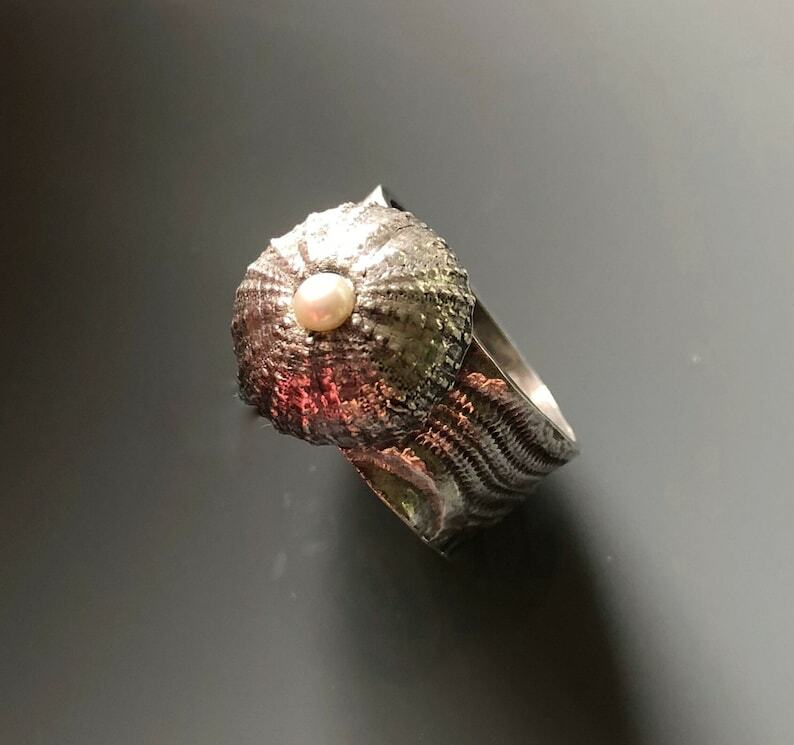 Beautiful, highly textural and rustic describes this wonderful size 7 sterling silver sea urchin ring with a tiny freshwater pearl set in its center. The sea urchin was made from my own original mold from a real, tiny sea urchin. The shank was hand-formed and rolled over a real sea urchin for authentic texture. Following firing in my kiln, I oxidized the ring and then polished it up to enhance the wonderful textures. The pinkish cast in my photos is merely a reflection of the sweater I was wearing when I took the photo. This ring has a wider shank and therefore would most comfortably fit a size 5.5 to 5.75 finger. Please note this ring cannot be resized. Signed and stamped with silver content by me on the inside of the shank. A very comfortable ring that you’ll want to wear every day!